I finally finished Darkest Island over the weekend, and was able to give it to my friends and family as a late Christmas present. My little brother was very adamant about releasing this game online for people to play by the end of the year, so here it is. I have decided to make the game a free download. This was my practice run in making a large scale video game, and it is a little rough around the edges. But it is still really fun, and I hope everyone gives it a try. The minimum system requirements are a 1.2 ghz processor with 512 MB RAM and a video card with 128 MB of video RAM. It also requires the latest DirectX drivers dated December 2006 which can be downloaded here. It will run better on higher specs of course. 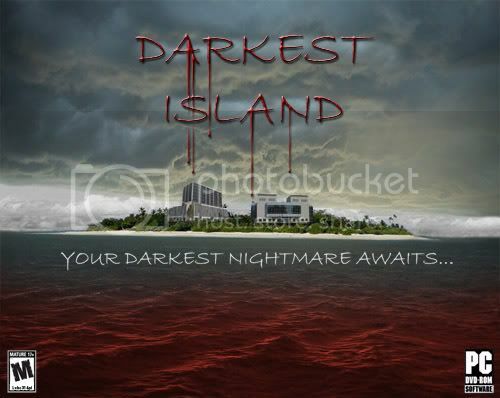 Darkest Island is the story of a man named Daniel who wakes up in a bloody hospital bed on a remote island with no knowledge of how he got there. A girl's voice echoes in his mind, begging for him to come and rescue her, and promising to help him get off the island. Daniel finds that this hospital is actually a research facility, and the inhabitants are no longer human. These zombie-like creatures are not the only enemies that Daniel makes. Soon he has armed soldiers hunting him as well. The story of the facility unfolds as Daniel makes his way into the dark center of the island. Download and Give Your Feedback & thanks to Luke314pi for the excellent news.